I particularly like this definition as it first focuses on the outcomes from productive and engaged employees. This is the model I follow when helping organizations “think about their integrated organizational Human Resource processes.” Whether you have a robust Talent Management process or you randomlymanage your talent, each of the icons on this graphic must be considered, but before you do, consider doing a free Talent Management Self Assessment to align this article with your view of your company’s processes. Start with the important outcomes for your processes and how will you measure them. Determine the numbers that will show Management that the talent management process is delivering what the business needs to be successful now and in the future. That will gain the “Strong Management Support” you will need to be successful in the long run. Is this area focused on Right Person, Right Time, Right Skills, Right Fit or simply a Job description? How many people at what level do you need now and for your next big project? How many of your top employees are leaving and why? Where do you source your next top talent? What are the newest hiring trends? Is training a money pit or a profit center? What’s the difference between Performance Management and Optimization? Are you forever chasing poor performers vs. building your top performers? Are your Compensation systems delivering the behaviors your need? Are your benefits cost effective or an entitlement program? As the economy continues to grow, are your High Performers looking to leave or your best advocates? Are you Compliant from an HR perspective? Is your workforce ready for today’s and tomorrow’s challenges? Do you have a roadmap to close strategic and organizational gaps? We have implemented a simple Organizational Development and Talent Management Self-assessment that you can access here. The free self-assessment takes only a few minutes and your results will be sent to you immediately along with information on how your company stacks up against benchmarked best practices. It is also a great way to kick start your strategic planning process or use it as a litmus test for your current Talent Management strategic plans. In upcoming blogs, we will cover each of these seven areas, provide and in-depth look at each and how you can expect them to deliver both top and bottom line business results. 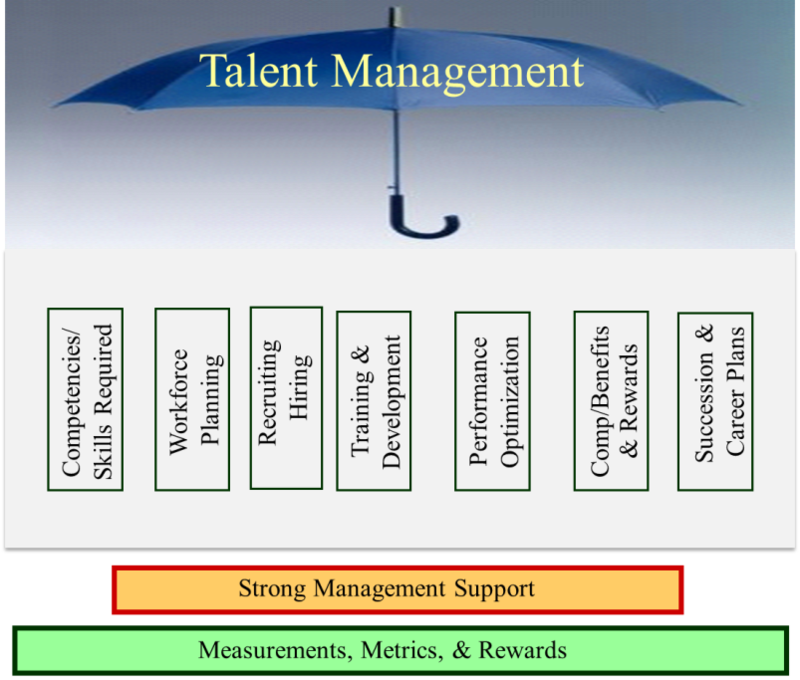 For more information on how Group50’s Talent Management Assessment and Workshops can deliver immediate business benefits through optimizing your talent across your organization you can reach us at (909) 949-9083 or send a note to info@group50.com. 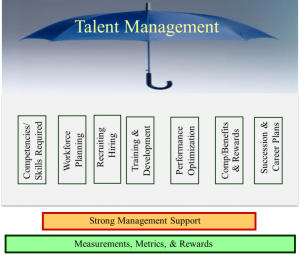 You can read the series of blog articles on Talent Management here. Bruce Dougan is the head of Group50’s Organization Design and Development Practice. Bruce and the Group50 team are all former executives with well-known manufacturing and distribution companies who understand what it takes to design, train, develop and motivate organizations to successfully implement a company’s strategic plan. Group50 has designed a series of strategic assessments, workshops and strategic execution tools that optimize your organization.